Virginia Cornwell is a Columbus Family Lawyer, Family Law Attorney, and an Ohio State Bar Association Family Relations Specialist. Easter is a day that is important in the parenting schedules of many Ohioans. 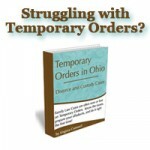 However, because it is a day of religious meaning, and not all parents celebrate the same religious holidays, many Ohio visitation schedules do not include Easter as part of the standard parenting time schedule. To further complicate the matter, Easter often, but not always, falls during Spring Break. Unless otherwise specified in your court orders, if Easter falls during Spring Break, the parent who gets Spring Break will also get Easter. In some long distance parenting plans, the same parent gets Spring Break every year. 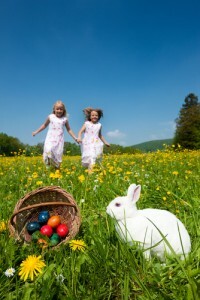 Depending on the school schedule in your district, this may mean that the same parent gets Easter every year. Easter is one of those holidays that must be specifically addressed in parenting plans if it is a day of special meaning to one or both parents, otherwise, the result is likely to be a lot of conflict. In this case, an ounce of prevention is worth a pound of cure, so either negotiate with the other parent to have Easter properly addressed in your parenting orders, or ask the Court for the orders you want regarding Easter. Otherwise, you may end up missing this holiday every year!